KiwiRail’s plans to upgrade its network are running into funding obstacles. Newly released documents show its attempts to get money from the Provincial Growth Fund have not all been successful, with officials warning the fund may not be able to support the level of funding the rail company wants. These include plans to run a daily service between Auckland and Wellington and a request to fund “core capital requirements” in the regions. In last year’s budget KiwiRail sought $300 million to fund two years projects to upgrade its ageing network and rolling stock. The government approved $185m, saying the remaining amount would be provided from the Provincial Growth Fund. In subsequent discussions with the Ministry for Business, Innovation and Employment, officials warned KiwiRail “the fund may not be able to support this level of funding”. KiwiRail subsequently received $50m, leaving it $65m short of the $115m it had hoped to get. However, it would not discuss the shortfall, saying the money it asked for was over two years and any future funding was budget-sensitive. KiwiRail said using the fund to pay for working capital met the fund’s criteria because an efficient rail network is essential for regional economic development and productivity. “Part of KiwiRail’s network which do not have commercial volumes sufficient to cover capital costs have been in a state of managed decline for some time,” the company said in a statement. Regional Economic Development Minister Shane Jones, who oversees the fund, said an important proportion of the fund was dedicated to KiwiRail but the state-owned enterprise was not going to be able to fund all of its aspirations through it. Instead KiwiRail was going to have to work with Treasury in order to secure long-term capital. Mr Jones said there was only so much the fund could spend on KiwiRail in the provinces, and he had made that clear to KiwiRail. “We’ve got a limited number of dollars for provincial rail growth and I’ve said to KiwiRail staff and in particular the new chair of KiwiRail, Mr Greg Miller, that we’re going to have to ration in terms of access to the Provincial Growth Fund,” he said. Getting money from the fund was a competitive process – something Mr Jones said he was constantly reminded of. “It’s fair to say that the officials on a regular basis are warning the first citizen of the provinces that there are a host of other infrastructure projects, not the least of which is the $130m allocated to upgrade the roads around Tairāwhiti, Northland and part of the Bay of Plenty,” he said. “KiwiRail, whilst important, is not the exclusive recipient,” he said. However, he stressed that KiwiRail was not out of favour with the government. 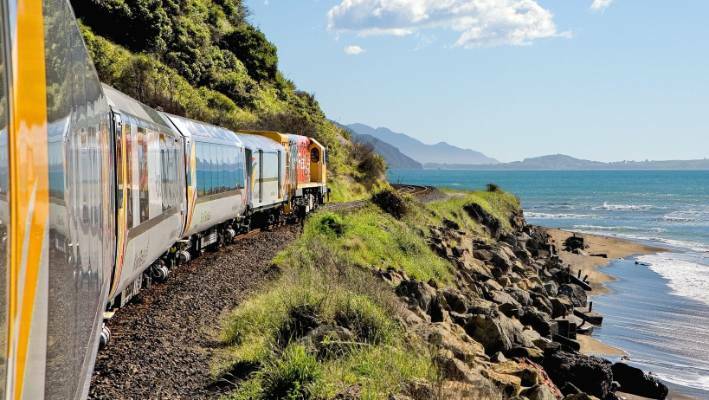 In July last year KiwiRail sought $185m from the Provincial Growth Fund to upgrade services on its tourist routes including the Northern Explorer (Auckland to Wellington), Coastal Pacific (Picton to Christchurch) and TranzAlpine (Christchurch to Greymouth). The state-owned enterprise argued the extra services would double the spend by rail passengers from $100m currently to $220m by 2027 across the Waikato, Ruapehu, Manawatū-Whanganui, Marlborough, Kaikōura regions and the West Coast. It would also double the number of tourism jobs rail supports, from 863 to 1906 over the same period. Although the government announced $80m to upgrade services on the Coastal Pacific and TranzAlpine, there was no such announcement about the Northern Explorer. In a statement KiwiRail said its original proposal was for a package of tourism investments of up to $185m, including a bi-directional daily Northern Explorer service – up from three days a week it currently operates. “Following consultation with officials, a second lower-cost package focusing on key investment regions was submitted, which provided for additional capacity, premium services, platform upgrades and international marketing for the TranzAlpine and Coastal Pacific Great Journeys of New Zealand,” KiwiRail said in a statement. Mr Jones said the government was looking for more information before it would sign off on plans to extend the Northern Explorer service. “Investing in the Northern Explorer requires investment in a different type of trains and locomotives than the South Island trains and would involve a significant additional investment. The key rail investment in the North Island in 2018 is a logistics hub near Palmerston North,” he said. Newly released documents show the government forced KiwiRail to backtrack on its decision to ditch the electric locomotives on the North Island’s main trunk line. According to the Treasury, it’s the first time a state-owned enterprise has been directed by a minister to make a decision that didn’t stack up commercially. The State-Owned Enterprises Act said an entity’s principle objective was to be a successful business. In 2016, KiwiRail’s board decided to replace its 15 electric locomotives with diesel, arguing it would make the company more efficient and better able to take freight, and with less freight going by road, there’d be a positive environmental impact. On 30 October last year the government put a stop to the plan instead promising a $35 million cash injection to refurbish the electric locomotives. In a letter to Transport Minister Phil Twyford two weeks before the decision was announced, acting chief executive Todd Moyle made it clear KiwiRail didn’t have the money to refurbish the locomotives. “KiwiRail has no funding for these additional costs and is unable to recoup the investment and there is no uplift in revenue associated with this decision,” he wrote. But a Cabinet minute written the day before the government’s announcement, showed Cabinet agreed to use its powers under the State Owned Enterprises Act to direct the company to provide a non-commercial service. Mr Twyford said being a successful SOE was more than just about profit and loss for a particular year, and this government wanted to grow rail. He said previous governments had left KiwiRail on financial life support with no future vision. “That’s not how our government sees it, we’re committed to bringing rail into the heart of the transport system, instead of treating it as the poor cousin and drip-feeding it a little bit of money year after year and barely keeping it alive,” he said. KiwiRail uses electric locomotives on the main trunk line between Hamilton and Palmerston North. When it said it was going to switch to diesel, the Rail and Maritime Transport Union accused it of “environmental terrorism”. The union’s general secretary Wayne Butson said the decision to go down the diesel track was the best case of reverse engineering he’d ever seen. “What you started with as your opening premise was the decision that they wanted to have and then they just worked backwards, and they screwed the scrum, massaged the logic and the numbers”, he said. He said at that time KiwiRail’s board were wedded to a philosophy of simplify and standardise. “There was this mantra which said ‘we only wanted one type of wagon, we only want one type of loco and that will give us immeasurable gains over time. It will reduce the inventory that we need, in terms of spares that we need for things’. In my view it didn’t have any logic,” he said. Mr Butson said that decision failed to consider the needs of a modern railway, which must have some level of variation in the types of locomotives and wagons it uses. Engineer Roger Blakeley said the decision to scrap the electrics was at odds with the Labour government’s target of getting to net zero carbon emissions by 2050 and leader Jacinda Ardern’s claimthat climate change was her generation’s “nuclear free moment”. “With the diesel locomotives, if KiwiRail went ahead with them, it would burn an extra 8 million litres of diesel fuel per year and add around 12,000 tonnes of carbon dioxide to the atmosphere each year. That’s what would have been the implications of a switch back to diesels,” he said. The Palmerston North to Hamilton route was electrified in the 1980s and the plan then was to carry on and electrify the whole main trunk line from Wellington to Auckland. It’s estimated completing the project now would cost around a billion dollars. Mr Twyford said it’s not part of the government’s immediate work programme. 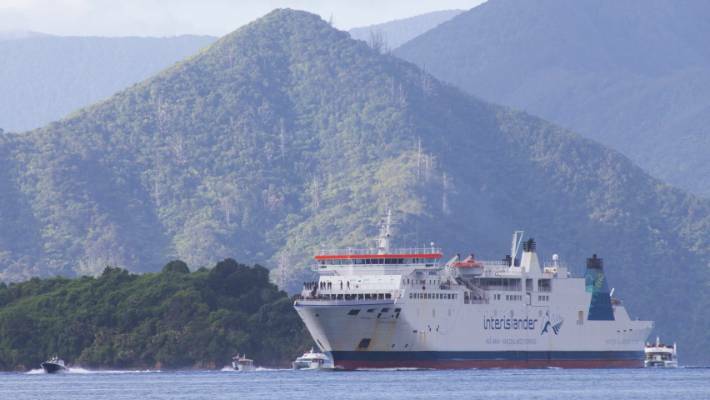 KiwiRail is buying two new, large, rail-enabled ferries to replace the current three-ship Interislander fleet. This is an investment in a future that is not only ours but also New Zealand’s. Our ferries play a crucial role linking the north and south of the country but the Aratere, Kaiarahi and Kaitaki are all reaching the end of their useful lives. Every year 800,000 passengers cross the strait on nearly 4000 sailings. The ferries also transport the equivalent of a queue of freight trucks 1200km long and a train with 500km of wagons carrying goods for supermarkets and commodities such as grain, gas, wood products and aluminium. And as we saw when the Kaikoura earthquake struck just over two years ago, our ships are a lifeline for our vulnerable capital city and for the top of the South Island. Our ferries are a vital set of sinews that connect the economic muscles of New Zealand. There is huge interest in the future of our ferries and the decision on their replacements. That is understandable. Crossing the strait on the Interislander is part of many Kiwis’ childhood memories, and many are aware of the role they play in building stronger connections for New Zealand. The ships are well-maintained and delivering great results – 99 per cent of our scheduled services operate as planned and 93 per cent arrive on or ahead of schedule. But they are ageing, and will reach the end of their useful lives around the middle of the next decade. The decision on what to replace them with spans generations. Each ship is expected to cost upwards of $200 million, though this may change depending on the final specifications, and the ships are likely to remain in service until at least 2050. The two big questions we had to answer were how many ships we should have, and whether or not they should be capable of carrying trains. There are clear economic benefits in a two-ship fleet. Large ships – we expect the new ferries will be around 30 per cent larger than what we have now – have the capacity to cater for demand at peak periods, such as the holiday season. Two large ships will deliver what is required through the year at a lower cost than a three-ship fleet. Crucially, having three ships instead of two would simply add to operating and capital expenditure without generating any additional revenue. The reduction in fleet size will not affect capacity, with up to six return sailings possible each day. Having two identical ships is also more efficient, allowing standardisation of all aspects of the operation, including terminal infrastructure, crew familiarisation and training, and a reduced spare parts inventory. It also makes sense for KiwiRail to opt for rail-capable ferries as part of our commitment to grow rail freight in New Zealand. They will provide a seamless journey between the islands without the need to unload rail wagons on to road trailers for the trip across the strait, and then reload them on the other side. 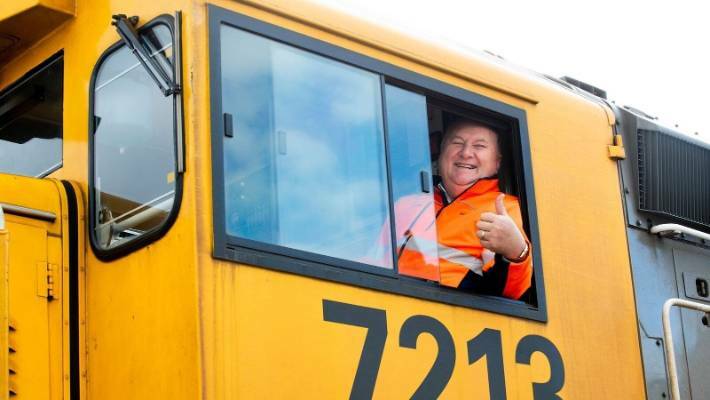 Getting freight off the road and on to rail is not only good for KiwiRail, but also good for the country – carrying freight by rail results in 66 per cent fewer carbon emissions compared with heavy road freight, and also means fewer heavy trucks on the roads. That means safer roads, and lower spending on road maintenance. Our next step is to begin the detailed work setting out what we require in the new ships and terminals then seeking expressions of interest from shipyards to provide the final costing for our detailed business case approval. All going well, the first of the new ferries will arrive around the end of 2023. We’re confident the decision we’ve made is the right one for KiwiRail, and the right one for New Zealand. • Todd Moyle is acting chief executive of KiwiRail. 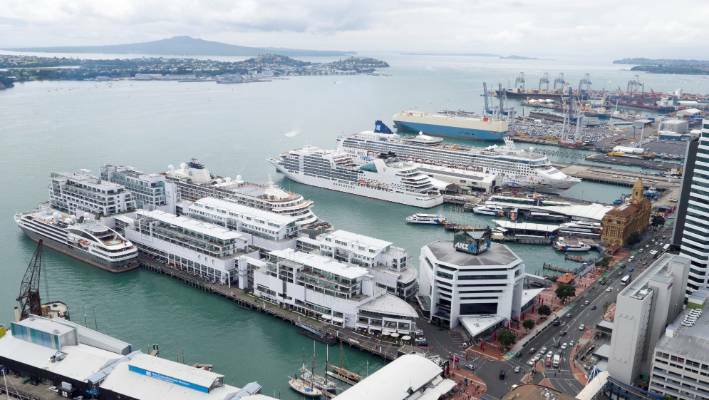 A dry dock to handle the country’s biggest vessels is affordable and can form the basis of a new marine servicing industry, KiwiRail chair Greg Miller says. 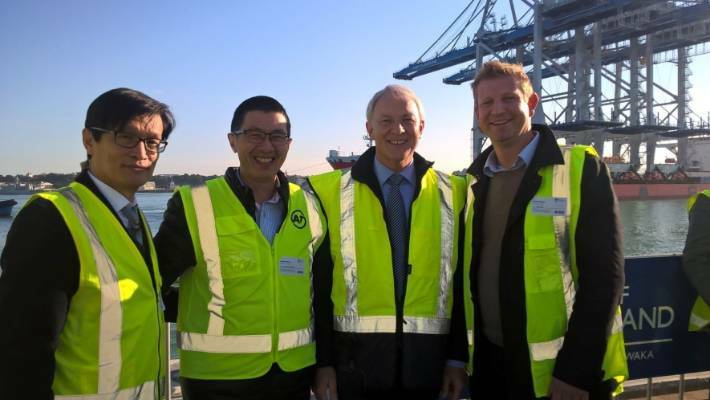 Establishing a new facility will reduce the increasing cost and risk shippers face getting regular surveys completed at ports in Australia or Singapore, he said. The new ferries the firm plans to introduce from 2023 – 230 metres long and 30 metres wide – “actually sets the stage” for the project, he said. KiwiRail is keen to be a catalyst and initial discussions with other shippers have been positive. The key, he said, is to integrate the new dock with other existing facilities. The resulting hub could then provide a full range of marine services. “It’s nowhere near as big and scary as we think – if we get it right,” Miller told BusinessDesk. “I’ve got a really good idea of the costs and they don’t scare us.” He wouldn’t provide an estimate. Dry docks operate at Lyttelton and at Devonport in Auckland. But both are old and neither are large enough to cater for the increasing size of the country’s ferries, coastal carriers and some ocean-going fishing vessels. Port Marlborough has spent several years campaigning to establish a floating dry dock at Shakespeare Bay and previously estimated the cost at up to $80 million. 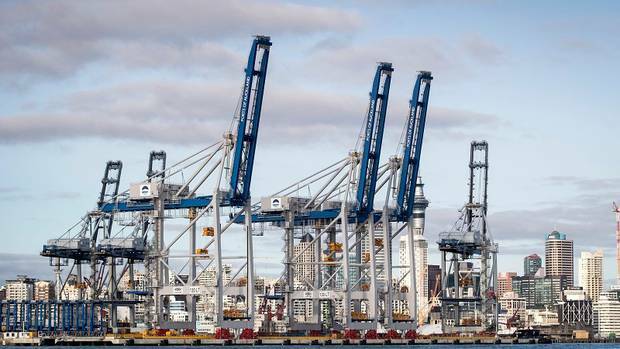 Last year, the New Zealand Shipping Federation urged action on the project, saying it was open to any location that is affordable, can provide 24-hour, seven-day operation, has access to other wharves and is deep enough for use by international vessels. It told the government’s working party on a supply chain strategy for the upper North Island that the only feasible sites are Whangarei and Shakespeare Bay. Miller wouldn’t be drawn on the location of the facility, development of which may still be five to 10 years out. Yesterday, he told Parliament’s Transport and Infrastructure Committee that the limited dry dock capacity is causing a loss of productivity. Increasing coastal shipping around Australia is making it harder for New Zealand vessels to access facilities there. Getting to and from Singapore adds to time and cost and also adds considerable risk to scheduling. Miller said New Zealand fishing companies are also designing vessels to fit the local facilities, reducing their ocean-going capacity and their efficiency. The Devonport dock can handle vessels up to 170 metres in length. Miller said there are probably 14 local vessels that could use a larger facility now and he could see that figure getting to 20 “pretty easily”. Beyond that there is additional scope to gain business from international shipping lines that currently can’t get vessels serviced here. Economic growth in Northland is akin to that in Waikato and the Bay of Plenty during the 1970s and 1980s and will need investment in rail to support the region’s growing export industries, MPs heard today. KiwiRail acting chief executive Todd Moyle said Northport is the only port in the country without a direct rail link. He says it is “critical” the government builds a 20-kilometre spur extension to link the Auckland-to-Whangarei line to the port at Marsden Point. This potential new line is only an element of a wider project. KiwiRail is feeding into a business case the Ministry of Transport is aiming to complete by May on options for upgrading the rail link from Auckland northwards, Moyle told Parliament’s transport and infrastructure committee. KiwiRail chair Greg Miller told MPs the development of dairying, forestry, pulp and paper and horticulture in Waikato and the Bay of Plenty 40 years ago was matched by government investment in road and rail to get that production to port. 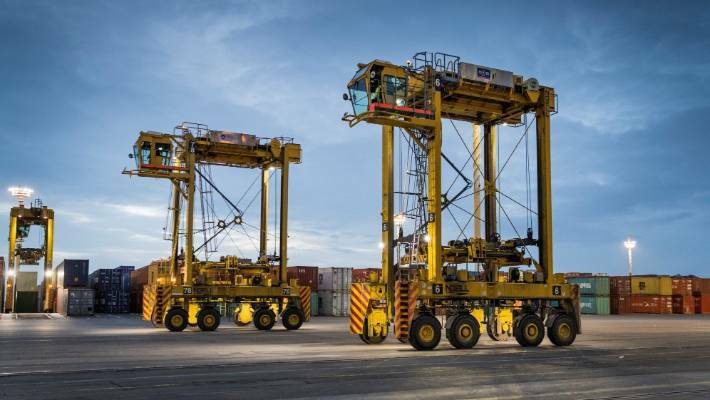 Those same activities and industries are “migrating” to Northland and now is the time for the Crown – through KiwiRail – to put in place the infrastructure to support the considerable growth underway. “The ‘North of Plenty’ is kind of like the Bay of Plenty for the next decade on,” he said. KiwiRail has spent the past three months on geotechnical studies for a potential route from Oakleigh, on the North Auckland Line south of Whangarei, to Northport at Marsden Point. But the cost, estimated at about $200 million, is only a fraction of the expected $2 billion bill that could be required to bring track, tunnels and bridges on the rest of the Auckland to Northland line up to standard to handle major freight volumes. Funding for the spur line study was provided from the government’s Provincial Growth Fund, overseen by NZ First member and Regional Economic Development Minister Shane Jones. NZ First has also driven an investigation into the feasibility of relocating Ports of Auckland to Northport. That is being considered by a five-member working group tasked with developing a broader strategy to better integrate transport logistics chains in the upper North Island. Challenged on the prioritisation of the Northland project, Moyle told National MP Paul Goldsmith that the funding of a business case for a third heavy rail track on the main line between Wiri and Westfield in South Auckland is being separately funded through the National Land Transport Fund. Adding capacity to this section of the southern line is considered critical to meeting both freight and commuter growth through Auckland. MPs were briefed by the Auditor-General’s office before the meeting. Independent MP Jami-Lee Ross said that briefing didn’t leave him with a lot of confidence that the broader machinery of government understands how Provincial Growth Funds are being allocated and accounted for. He particularly questioned a $50 million working capital allocation KiwiRail has received and $80 million provided for tourism opportunities. Moyle said $135 million has been received for specific projects, including a regional freight hub at Palmerston North and upgraded rolling stock for the company’s TranzAlpine and Coastal Pacific tourism services. The $50 million of working capital will be used to restore track on regional routes that are otherwise in decline. David Gordon, group general manager for investment and planning, said the PGF funding was enabling the company to bring forward investments that had a “compelling” business case. KiwiRail, bought back by the government in 2008, has been hamstrung for decades by a lack of capital to maintain the country’s 4,000-kilometre track network and invest in new engines and more flexible rolling stock to remain competitive. Ageing trains and tracks have seen speed restrictions placed on many routes, further reducing the competitiveness of freight services. The previous government provided additional capital in two-yearly blocks – $450 million for the period through to mid-2019 – while it struggled to find a longer-term funding solution. While the company’s financial performance is improving, Moyle said capital injections from the Crown being essential for the foreseeable future. Miller said rail globally is enjoying a renaissance, both in tourism and because of the considerable returns rail freight provides by reducing road congestion and emissions. KiwiRail’s growth plan for the next decade will be a critical part of delivering those benefits here, he said. However, decades of under-spending will take a long time to correct. How that is funded is up to the government, he said.